When applying a stone veneer to a concrete board, you use mortar to ensure that the veneer sticks to the board. While the specific brand of mortar you use is not very important, what is important is that you use mortar of the correct consistency, that of peanut butter, and the correct type of mortar for your application. Avoid using stucco mix or other cement products not specifically formulated for applying veneer to concrete. 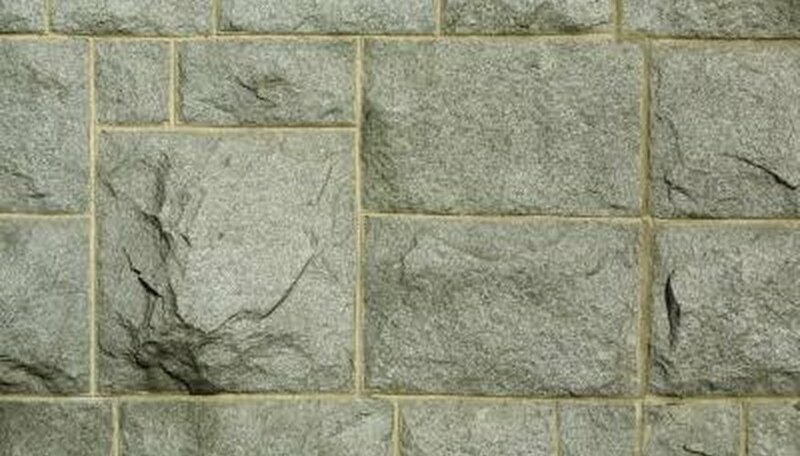 Type N mortar is the standard mortar not used for load-bearing walls. It is medium-strength mortar, meaning that it has good water-repelling properties when applied correctly, and it is reasonably priced. Type N mortar mixes easily and fuses cement boards to veneers with few, if any, potential problems. Type S mortar is ideal for use in outdoor situations in which a veneer is applied to concrete board. Its water-repellent qualities are better than those of type N mortar, meaning that it is less susceptible to freezing and thawing cracks that may appear after several years with type N mortar. Type M mortar is used in situations in which extreme strength is necessary. It is much stronger than type N or S mortars, making it ideal for applying large stone veneer to concrete board. Type M mortar is easy to mix but is very difficult to clean off surfaces once it has cured. For this reason, you should have a stiff-bristled brush and water nearby when you use this mortar to quickly scrub off excess that will make the veneer less attractive. Also when using type M mortar, due to the weight of the stones on the concrete board, increase the number of fasteners used to hold the board to the frame of the wall by at least 50 percent. If you are constructing a fireplace or barbecue, the best mortar to use when applying the veneer is refractory mortar. This product is less affected by heat than other types of mortar but still provides an exceptionally strong bond between the stone or brick veneer and the concrete board.